Carpet manufacturers recommend that you invest in professional carpet cleaning one to two times a year. In addition to your routine vacuuming, spot cleaning, and other care, your carpets can last to their projected lifespan in optimal condition. 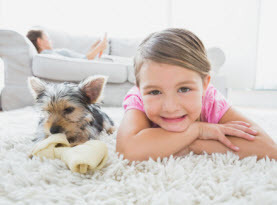 For those that suffer from chronic allergies and asthma, people with indoor pets, those that live in dusty climates, and homeowners that have a tendency to experience a lot of foot traffic on their carpets should consider more frequent professional carpet cleaning to control the soil penetration, stains, and odors. But when you do get your carpets professionally cleaned, most homeowners want their freshly cleaned carpets to last as long as possible. With that in mind, we at CA Water Damage Clean Up and Carpet Cleaning would like to share a few tips on how can extend the fresh, deep clean as long as possible. 1) Wait before foot traffic resumes. Following the professional carpet cleaning service, it is important to wait until the carpets are completely dry to let the flow of the foot traffic commence. 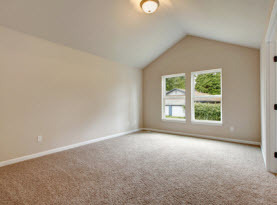 Generally, professionals will let you know how long the wait will be, but there are several factors that can impact the carpet’s dry time; climate and weather conditions are just a prime example. Though a major part of the process of cleaning is to extract the water used during the carpet cleaning, the carpets are left damp. This tip also should be followed whenever you treat any spills or stains as well. 2) Don’t wear shoes on the carpet, but avoid bare feet. Most people understand that shoes will track in dirt and other residues from outside on the freshly cleaned carpet. However, bare feet can be a bad idea as well. 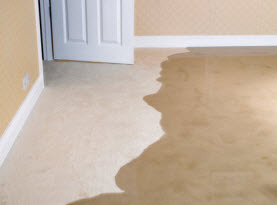 The natural oils that skin produces can be left behind on the freshly cleaned carpets. Instead of walking on the carpets with bare feet or shoes, be sure to wear slippers that are not worn outdoors or socks. 3) Promptly clean spills and treat any stains. 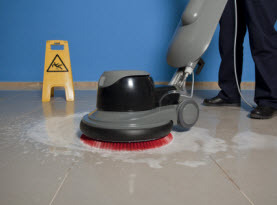 Immediately cleaning spills can prevent staining. The longer they linger, the harder they will be to remove and higher the risk it will evolve into a stubborn stain. Should you discover a stain, immediately treat it. Be sure to use blotting and patting techniques as you treat the spills and stains to absorb the spill. Rubbing and scrubbing will only promote the carpet fibers to soak in the substance. Whenever possible, try treating the spills with just plain water first, never use hot water. Stick with plain white paper towels, cloths, and towels as colored or printed paraphernalia can potentially transferred onto the carpets. If you need to use something stronger than water, whether you opt for a commercial product or a DIY concoction, always perform a patch test in an inconspicuous area first to ensure the color or fibers are not compromised. 4) Routinely vacuum. Whether your carpets look like they could use vacuuming or not, be sure to vacuum the carpets regularly, especially after a professional cleaning. Daily vacuuming is optimal, but vacuuming removes the dirt and debris you may not be able to see along with pollutants, contaminates, and allergens. Contrary to popular belief, you cannot vacuum too much, even if you vacuum 2-3 times a day. Carpet Cleaning & More in Long Beach, Santa Monica, Torrance, Santa Ana & Newport Beach, California. When your carpets in the Greater Los Angeles, California area are due or are in need of a comprehensive carpet cleaning, call the leading experts of CA Water Damage Clean Up and Carpet Cleaning.